Grid Lines: Ordered Pair Game is one of my favorite iOS Math apps from Math File Folder Games. 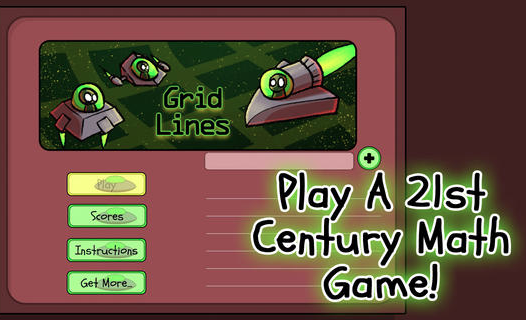 This game designed for El Ed and Middle School allows players or multiple players on multiple devices (up to 5) via bluetooth to try to shoot alien ships by drawing a laser through them by plotting points on a graph (grid line). Besides having high replay value the game generates detailed results that can then be emailed to a parent or teacher. I highly recommend checking out Grid Lines: Ordered Pair Game by clicking here!!! For more iOS multiplayer Math games click here. *Math File Folder Games is an advertiser of Technology Tidbits.